The Dude of Life made a guest appearance on vocals during Suzy (first known version), Sanity, Fluffhead, and Hood. There were no vocals on the return to Alumni Blues after Letter to Jimmy Page. 1987 was really the year Phish began, in my opinion. 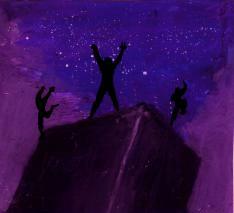 The band had been playing for about 7 months without Jeff, and many of Phish's revered epics had already debuted. It was the year that the band began to function as a four-piece unit and decided to fully dedicate themselves to the band. 1986 contained just 20 performances and the following year contained 43 performances, a doubling. The band also began a steady presence at Nectar's during these days. Phish played 6 times in February of 87, the first show where good (...) tapes exist was 2/13 at Johnson St. College. Johnson State is about an hour from both Goddard and Burlington, and served as an early show location for Phish gigs. This show came as Phish was transitioning from Hunt's to Nectars and the band is trying hard to please, even bringing the Dude of Life on stage. Nothing unusual about the Sneaking, Possum opening combo. The Golgi>Slave>Quinn is interesting in that this is probably the shortest Slave ever. The band aborts the lyrics and hard rock middle section and moves straight from the intro to the outro. 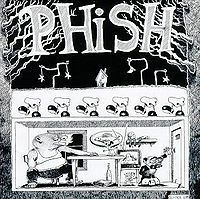 Golgi>Slave was a common pairing in this era of Phish, but this is a true segue where the band moves into a funky Quinn with some nice work by Page. A pre-degree'd Alumni>LTJP>Alumni has some inspired playing by Trey. The following Suzy, the first ever, features lyrics by the Dude of Life, who adds an enormously different take on the current vocals. The version goes on for about 9 minutes or so, and it's clear why the band shortened it later. It really sounds like a lovestruck Dude gets his frustrations out, yelling, and ranting. The following Sanity only gives the audience more of the Dude, who just goes crazy, screaming on the top of his lungs. No 'cold and lonely night' part, just the band fading out as the audience hardly applauds out of pure bewilderment. GTBT is nice, Wilson seems to get the crowd back into the show after the unusual Dude songs. The highlight of this show, however, is the wonderful Melt the Guns> DEG. For those who haven't heard Melt the Guns, you should really give it a listen. It's interesting to note the influence that XTC had over early Phish compositions. The band takes some time to improvise in the center of the song, much akin to Timber Ho, and eventually returns to the theme, while moving into DEG. A chaotic DEG ensues, although I always thought we might as well tag this song as 'Discipline', since it is almost the exact same song (imo). Fluffhead has the Dude on vocals, and contains the 'Fluff's Travels' section which is played twice underneath the Dude singing about how 'no one really knows what a genius you really are'. After the 2x Fluff's Travels, we return to the Fluffhead signature ending with the Dude yelling and screaming but little Trey solo. Hood is, at this point, pretty solidified in its song structure and the band moves through it very similarly to how it does today, albeit with the longer 90's style ending. Sound quality for this show suffers, so it's pretty hard to listen to it without some experience dealing with bad audio. Check out the Melt the Guns> DEG, the highlight of the show for sure. The Dude's songs are also an interesting novelty; he's really quite animated. First things first... the audio is really rough. I don't mind bad tapes, I really don't... and I'm telling you that the audio is really rough. You've been warned. 1) The first Suzy gets played here. 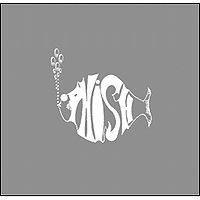 It is one of my very favorite Phish songs, but this version is truly bizarre! It sounds very different from the song that we've all become accustomed to. Definitely needs a listen. 2) The 2nd Melt The Guns gets played here and it's about 100 times better than the first one. Too bad that the audio is so rough. Also the ->DEG is really interesting. Other than that there really isn't a whole lot to like about this tape. See SlavePhan's review for more details, but unless you have a specific reason to poke at this show, it's probably better to just move along.